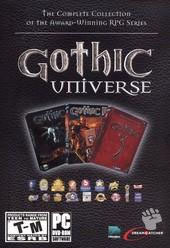 The definitive Gothic Universe collection arrives on the PC which include all four games and add-ons of the series, Gothic, Gothic II, Gothic II: Night of the Raven and Gothic III. With over 300 hours of gameplay, Gothic Universe will once again allow gamers to begin their humble journey as they fight, think and become immersed in this wondrous universe. With that said, this series is probably one of the most in-depth RPG titles in quite some time, the beauty of the Gothic series is that all the storylines are interlinked which makes for some great addictive gameplay, especially for those lovers of RPG titles. It's like reading your favourite series of novels but totally interactive. The full award-winning Gothic Series including all 3 parts & the Addon! Mercenaries, Humans, Assassins & Orks: Choose your faction! Start your adventure as the nameless hero on the island of Khorinis, a prisoner of the King as you make a name for yourself in this wondrous universe and eventually arrive on the mainland of Mrytana of the ultimate battle which threatens the very existence of your planet. Although your motivations may be noble or nefarious, the choice is yours as is the choice of whether you wish to wield magic or a sword. Classic Sword and Sorcery is what Gothic Universe is all about as you fight your way through a plethora of enemies from Orcs to Humans to the ancient Dragons. As all good traditional RPG titles, gamers are awarded experience points which can be used to increase a variety of attributes on your characters and upgrade their path that they will follow, whether magic or more mortal based such as a weapons. With a variety of missions, weapons, equipment, items and NPC's that you encounter in your trials in the Gothic Universe, your once humble character by the end of the title will almost become a demi-god by the time you complete this title. 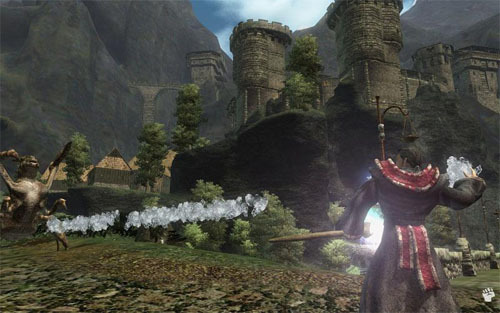 The developers have also ensured that there are multiple ways of completing each game which means gamers can continue to play this game, even after they have finished all four titles but get to the end in a different and unique way than the first time. Graphically, the Gothic series has always been quite impressive, although the first title looks a little dated when compared to the second and third, the lush 3D environments are simply amazing which contains a variety of special effect from lighting to weather. 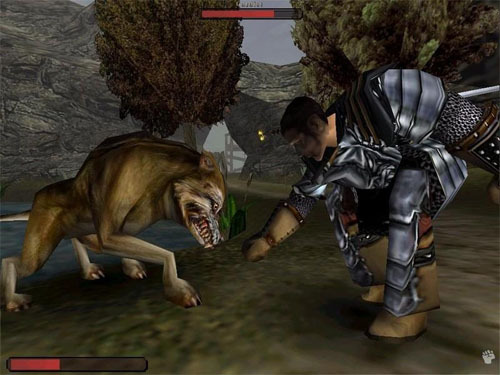 The title also features a third person view point which assists in battles and makes it easier for the gamer to successfully defeat their foes. In conclusion, Gothic Universe comes at an extremely affordable price for those gamers who may have missed the series the first time around and best of all, the system specifications are still rather low compared to the modern games of today. 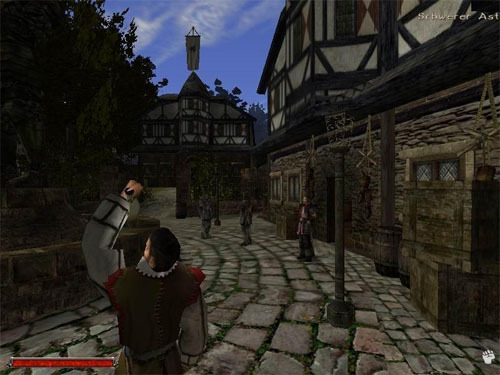 With that said, Gothic III is a visual masterpiece as is the previous games. Even though Gothic I may be a little dated, it still contains a great engaging story, perfect RPG gameplay and classic sword and sorcery. The rest of the series just gets better! There's little to complain about this compilation.